Asking for medical advise from social media forums, especially mommy groups, is like asking a mother who’s had a baby to deliver yours. Just because she has experience in the field does not make her qualified to give technical advice in that area. She can give you her opinions or share her experience, but she did never be relied on as a trustworthy source when providing care to YOUR child. Breastfeeding is especially one of those areas that we need to tread wisely into when asking for help and advice. Or culture has hidden breastfeeding from the norm and made it this mysterious, murky action where myths and misunderstandings abound. So much of the information found in quick Google searches are anecdotal, antiquated, or based off formula feeding data which is completely distinct and sometimes totally opposite of true breastfeeding. We should be seeking community support for breastfeeding, but not when medical advice is being solicited. 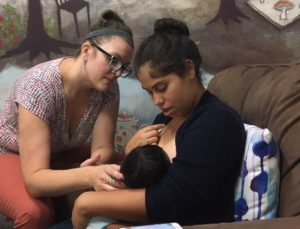 When mothers give out advice on social media platforms, they are not taking into consideration the whole breastfeeding picture and may inadvertently give advice that could care harm or actually negatively impact breastfeeding. For instance, when a mother of a two month old asks for advice on increasing her breastmilk supply and mother start giving advice on herbs, lactation cookies, or teas, they may not be considering WHY she is needing to increase her supply. Is her baby in the NICU? Is she going back to work and stressed with the pumping process? Does she have. History of sexual abuse that she actually needs to work through? Did her pediatrician have her supplement which impacted her supply? Is she trying to sleep train and sabotaging her own supply? Is she ALLERGIC to the herbs in those teas and supplements? How often is she feeding? Does she have a metabolic or hormonal disorder impacting her supply? Does she have enough glandular breast tissue to even produce sufficient milk supply? Does her baby have a tongue tie? Does the baby simply have a poor latch? These are the questions that are crucial in giving appropriate breastfeeding advice to protect the breastfeeding relationship. The best advice a mother can give on the social media platform is to have the questioning mother contact a lactation consultant. The gold standard for breastfeeding advice is the International Board Certified Lactation Consultant (IBCLC). There are other forms of lactation consultants that teach and serve out of a variety of backgrounds. The IBCLC is the top most coveted professional because of the extensive education and rigorous testing they need to go through in order to be able to assist lactating mothers. In order to sit for the FOUR HOUR board exam, candidates must have extensive education in specific health science subjects, like nutrition, psychology, and childhood development; 90 college level credit hours of education in human lactation and breastfeeding, and hundreds to thousands of clinical practice in providing care to breastfeeding families. They must also maintain a high level of continuing education courses and continue to sit for the board exam every 10 years. 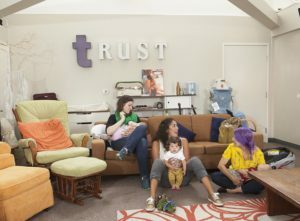 So when you see moms with questions related to breastfeeding in social media forums that are beyond opinions or personal experience, the best advice is professional advice.